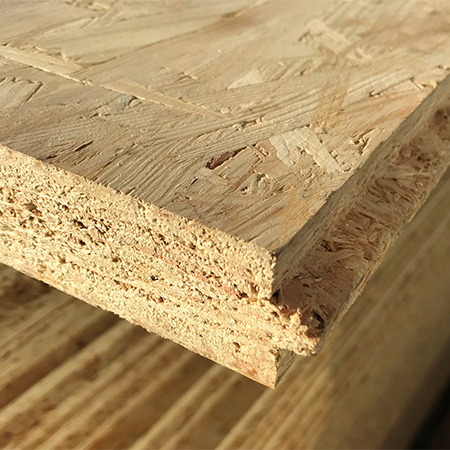 SMARTPLY STRONGDECK is the brand-new high strength, lightweight, high-performance OSB4 panel ideal for mezzanine floors or other high loadbearing applications – available from 2nd April 2019. With a 30mm OSB4 panel ideal for use in humid conditions (Service class 2 as defined in Eurocode 5), this product enables light work of the most demanding structural applications. The product launch couldn’t have come at a more pivotal time for the warehousing industry as it was revealed that warehouses in the UK are nearing capacity with around 75% of UK Warehousing Association (UKWA) members saying they were unable to take on new business. The survey by the UKWA pointed to the shortage of space close to major cities for stockpiling goods in case of holdups at ports after a no deal exit from the EU. Mezzanine flooring could enable some of the warehouse owners to create additional space above their existing operation, temporarily enabling them to scale up and down to meet demands. SMARTPLY STRONGDECK’s ability to withstand moisture and humid environments also opens the door to food produce storage, increasing flexibility of warehouses across the industry. “Warehouse contractors - look no further” said MEDITE SMARTPLY Product Manager, Colin Wheatley, “In response to a demand for ever stronger solutions to temporary flooring and industrial storage, especially in humid environments, we’ve created a panel that will provide users with a truly flexible solution. Using timber only from their own sustainably managed forests in Ireland, MEDITE SMARTPLY ensure all panels are manufactured with FSC certified timber and contain zero-added formaldehyde. Manufactured in accordance with the requirements of OSB4 as defined in EN 300, SMARTPLY STRONGDECK contains no core gaps, or hollow pockets and is CE marked in accordance with the harmonised standard EN 13986. The structural properties of SMARTPLY STRONGDECK are derived from extensive testing in accordance with EN 789 while characteristic values are calculated in accordance to EN 1058.